The G5 was LG’s moonshot. It’s when a company tries to create the next big thing, instead of turning out sure-fire products. G5 doesn’t seem to work as good as the Samsung Galaxy S7 but it will surely be much faster than this flagships after unlocking this device. As we all know, LG G5 comes with a locked bootloader & most of the companies don’t want their users to unlock their device. Although LG has only released official bootloader unlocking for H850 (Europian model) but as T-mobile phones are generally bootloader unlock friendly, the T-mobile model (H830) was much easy to unlock as compared to H850 which requires official device specific files from LG itself. 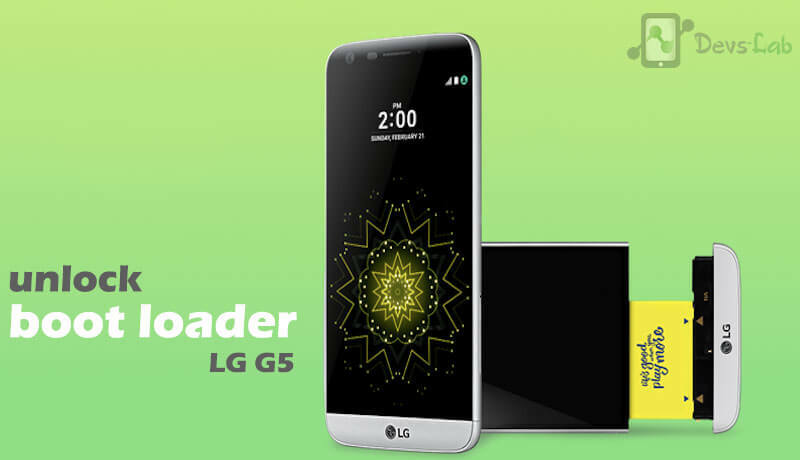 By Unlocking LG G5 you will open your device to tons of new possibilities, such as rooting its firmware and installing new custom Recoveries, custom ROMs, kernels and other customization files. Use this post only for the LG G5 (H850 & H830) device. We’ll update the guide as soon unlocking methods for other models are released. After you unlock the bootloader, your device will be completely wiped. Backup all your important files before you get to the next part of this post. Your device’s warranty may be revoked after completing the tutorial. Go to Settings, open About Phone section and then tap 7 times on ‘Build Number’ to unlock Developer Options. Now go back to Settings > Developer options & enable USB Debugging mode. Install LG G5’s ADB USB Drivers on your computer – this will help the PC recognize your Nexus 5 phone. Disable any antivirus apps that are running on your pc. Check the phone’s battery power and make sure that it is over 50%. If you cannot complete the tutorial, then you should ask for more help in comments. Step 1. Create a LG developer Account here (It’s free). Enable USB-Debugging on your phone. USB-Debugging is required for the commands “adb” and “fastboot” to work. To enable USB-Debugging, go to Settings >> About phone >> Software info and tap Build number 7 times. Return to the previous screen, select Developer options and enable USB-Debugging. Step 2. Enable OEM unlock on your phone. Activating the “Enable OEM unlock” is necessary for the bootloader unlock. To enable OEM unlock, go to “Settings >> Developer options” and check Enable OEM unlock. Step 3. Store your device’s IMEI code in Notepad. You can view the IMEI number by entering *#06# on your phone or selecting the Settings >> About phone >> Status >> IMEI menu. Step 3. 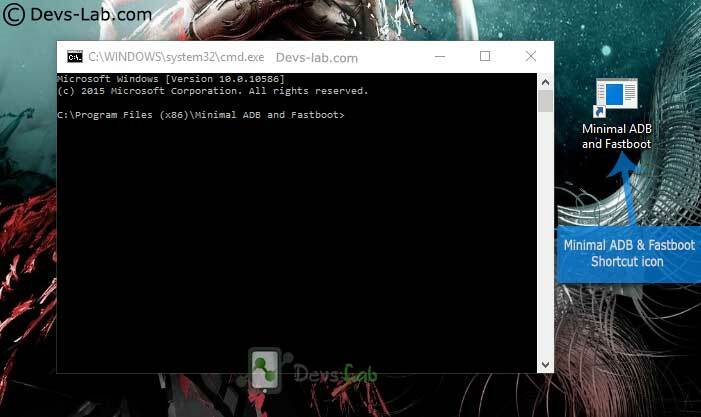 Install Minimal ADB & Fastboot Tools. Now launch MAF32.exe file from the Minimal ADB Fastboot folder or Minimal ADB and Fastboot from the desktop icon. This fastboot command will return a character string. This is the Device ID which is needed to generate your unique unlock key. Step 7. Copy Device ID and IMEI into the LG developers unlock site and hit the confirm button. In a few moments the unlock.bin will be emailed to you. Download unlock.bin to computer. Step 8. While the phone is still in fastboot enter the following command to unlock the bootloader: This will unlock your phone AND factory reset your device wiping all data! Step 9. Once done, confirm the bootloader’s lock status by using the command below. As usual, copy paste it, or type manually if you have become fond of fastboot by now. If you get ‘unlocked: yes’ as response, it means your LG G5’s bootloader is now unlocked. Step 10. Type “fastboot reboot” to reboot your device. Also Read: Download LG Flash Tool (LGUP) to Flash KDZ and TOT firmware. That’s it, these were all the steps you had to take in order to unlock the LG G5 (H850) bootloader. If you cannot complete the tutorials above, then you can ask for more help in comments. Remember that we cannot be blamed in case you lock / brick your device temporarily during the process. Also, we cannot be held responsible in case you lose any data files in the process.